I'm really excited about this pack and naturally I'll document my findings here. I intend to post this wrap up in 5 parts so you can follow along only a few days behind me. I'm hoping it'll be a great journey and I'm looking forward to trying some beers that I haven't had a chance to sample yet. I'm not quite sure how this post missed going up earlier... In any case here are the last four beers in #craftbeercountdown. Day 21 - Bridge Road Little Bling - Little Bling has been around for almost a year now, and is Bridge Road's attempt at filling this session IPA movement that the market seems to be craving at the moment. For a mid-strength, it's a very tasty little IPA usually and I was quite looking forward to getting to try it again. This beer is quite well balanced with nice floral and citrus hops contrasting with, but not overpowering, some caramel malts. It is a little but thin, but considering the ABV it's easy to understand why. At only 3.4% you could knock these off all afternoon relatively comfortably, while still drinking a nice tasting beer. Day 22 - Bridge Road Bling - I wasn't at all surprised to see Bling follow on from it's little brother. This beer appeared on Day 1 of #beerdvent last year (2014) and is one that I'm now well acquainted with, having previously not had it before that pack. 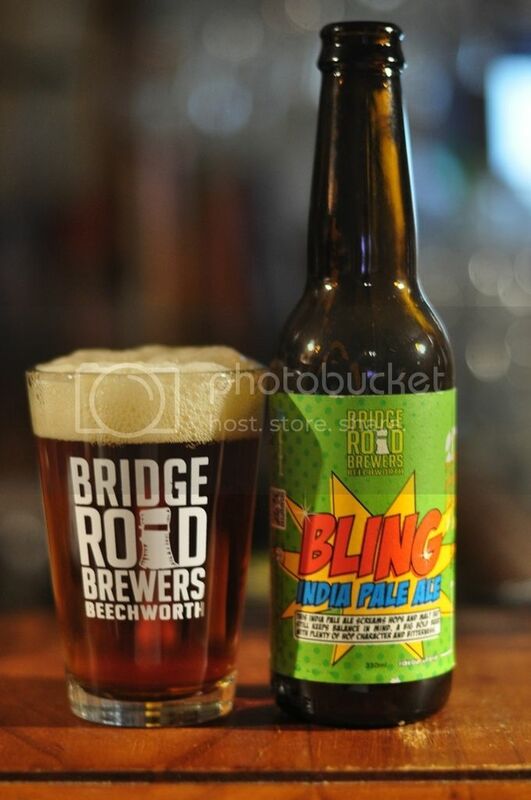 Bling is one of the nicer Victorian IPA's out there. 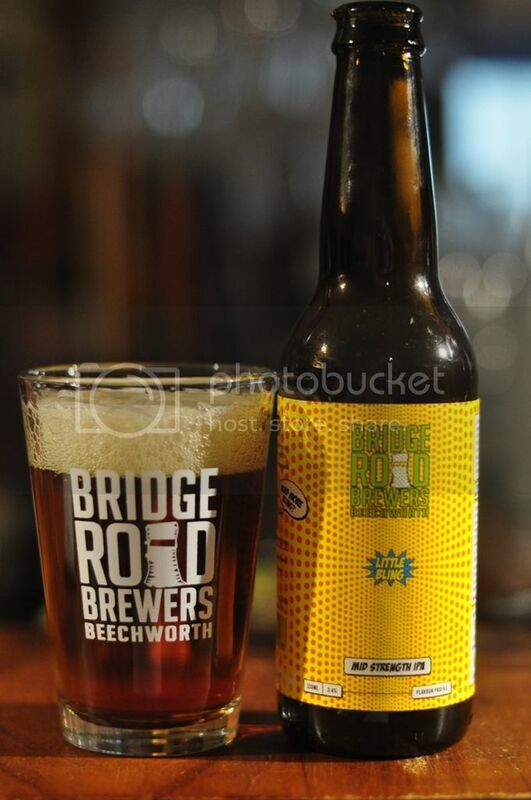 It well balanced with plenty of earthy and caramel malts balancing the tropical fruit and citrus from the hops. There is good, if not extreme, bitterness and grapefruit becomes more and more prominent as the beer warms. The only thing I don't like about this beer is how creamy the mouthfeel is, I wouldn't want more than one in a sitting. It wasn't as crazy as some Moon Dog offerings, but nor was it a straight up and down dark ale. There was a bit of coffee, some chocolate and some dark berry flavours. 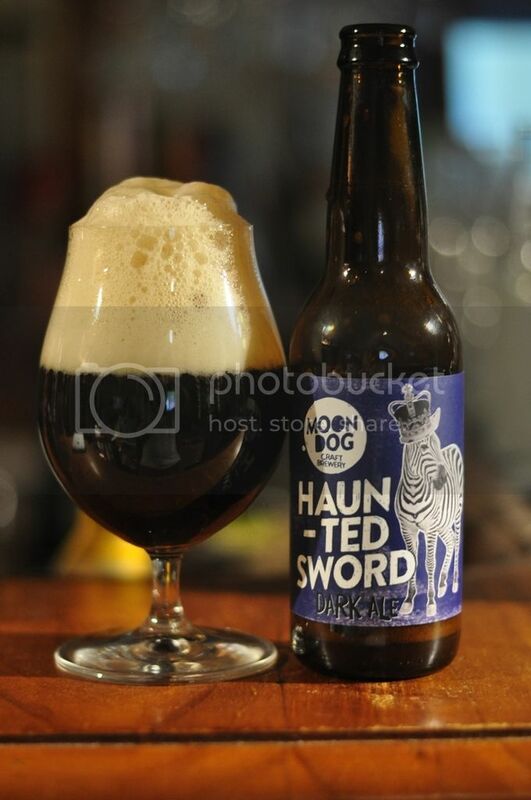 In addition to this Haunted Sword was a little bit over carbonated and had just a hint of sourness, possibly an infection, but it didn't detract from the experience for me. I would quite happily have another. 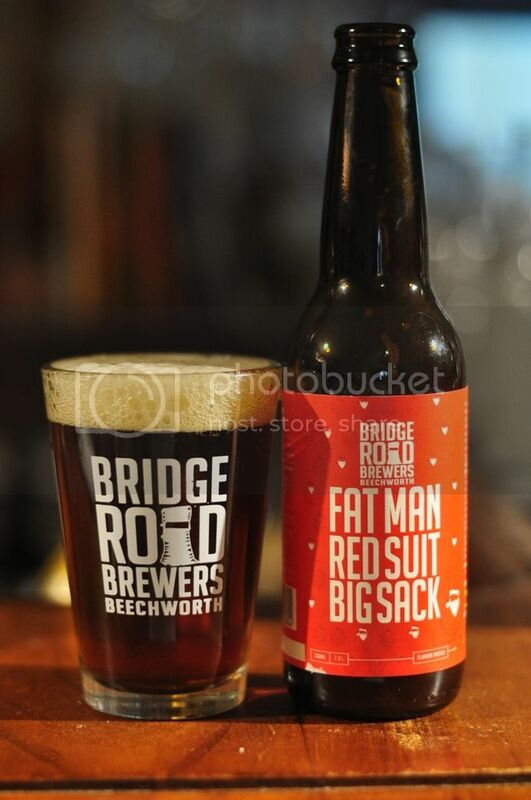 Day 24 - Bridge Road Fat Man Red Suit Big Sack - I was saying to Lizzie before I opened the box that #craftbeercountdown had to finish with this beer. So it was no surprise when Day 24 rolled around and the distinctive red label of Fat Man Red Suit Big Sack came out of it's window. This beer was in the pack twice last year (on days 11 & 24). This is fast becoming one of my favourite Bridge Road beers. It's a great Red IPA with plenty of slightly sweet malts that compliment the mango and grapefruit flavours perfectly. There's also this lovely spiciness to the beer, which just adds an extra layer of complexity. Fat Man Red Suit Big Sack is hard to find, but if you do definitely give it a try. 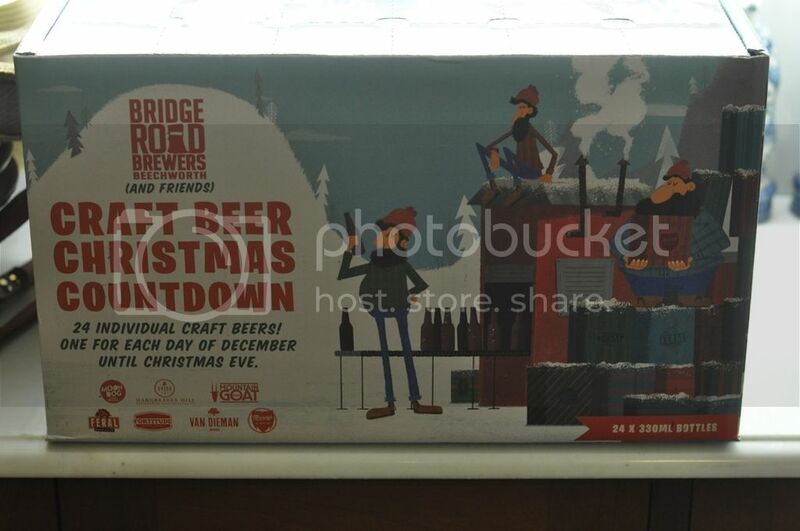 It's a fitting way to end a another great advent calendar from Bridge Road.